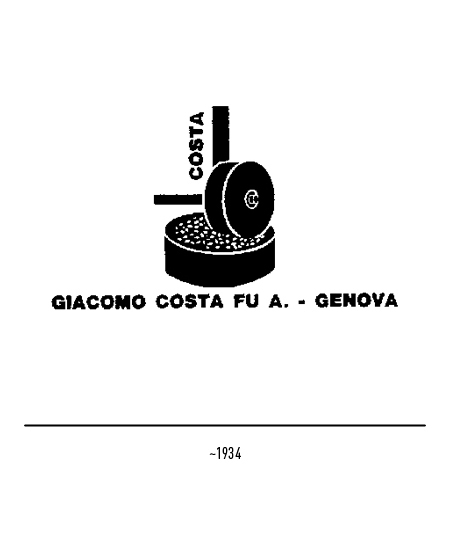 When established in 1854 by Giacomo Costa, the firm's business activity was focused on the olive oil and fabrics trade between Genoa and Sardinia. 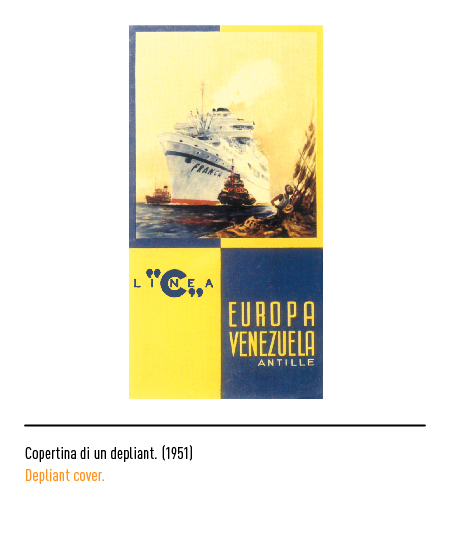 The activity continued and indeed intensified towards the close of the century when it was also engaged in trans-Atlantic trade. 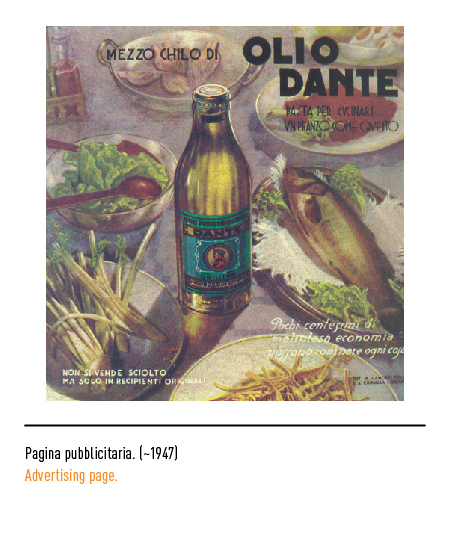 Intense Italian emigration to the Americas had in fact considerably increased the foreign demand for domestic farm produce and commodities. 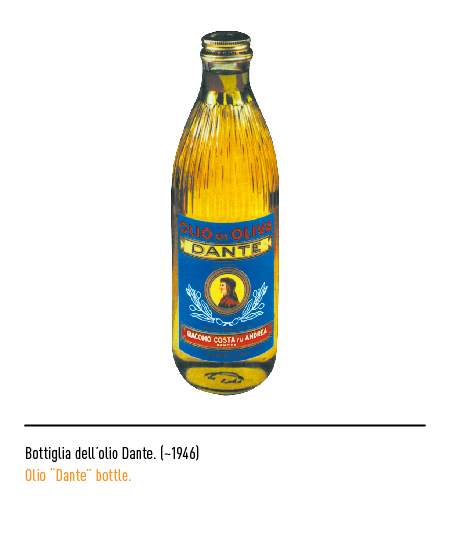 In 1924 the firm was purchasing crude olive oil from countries throughout the Mediterranean and marketing it in the United States under the "Olio Dante" label. 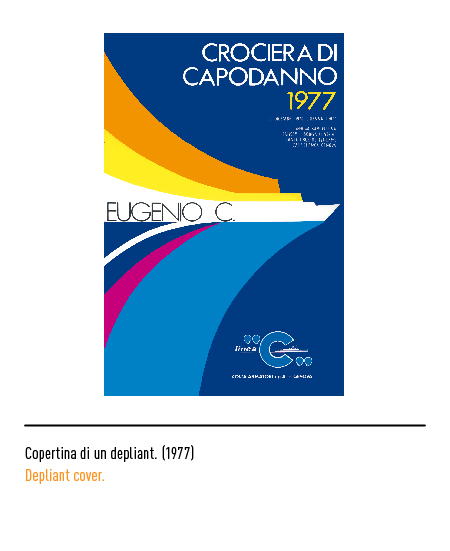 This intense seafaring trade lead the firm to quite naturally engage itself in the ship-building industry as well. 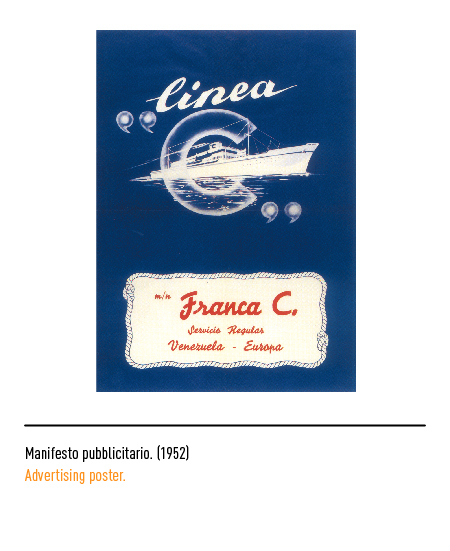 In the post-war years its management realised the potential for passenger transport on the trans-Atlantic route. What with returned P.O.W. 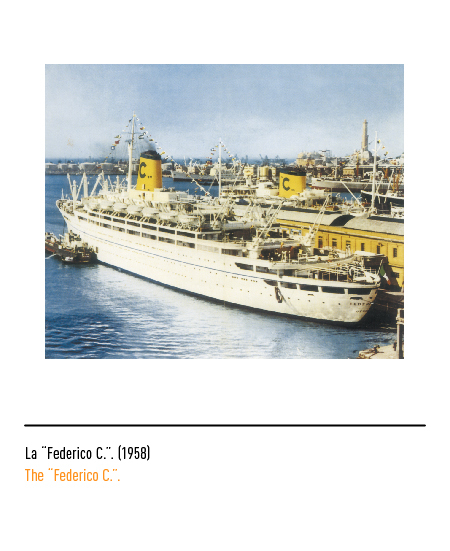 's, homecoming settlers from Italy's former colonies, emigrants in search of employment abroad, there was no end in demand for regular passenger shipping services. 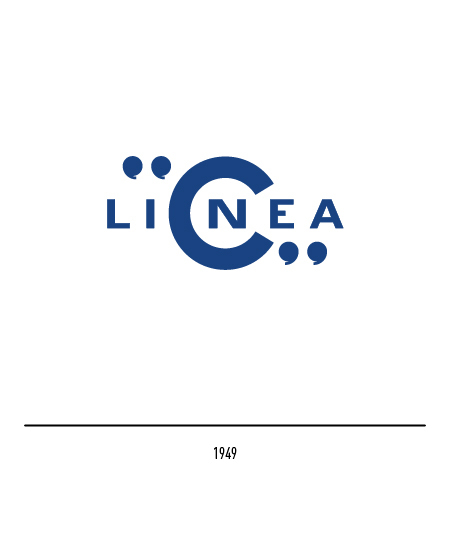 In 1947 the firm changed its name to "Linea C". 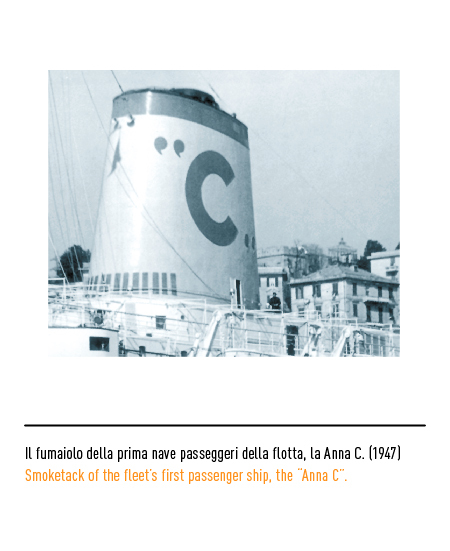 A distinctive and unique feature was that the blue letter painted on the steam-ship funnels of the line was depicted in inverted commas. 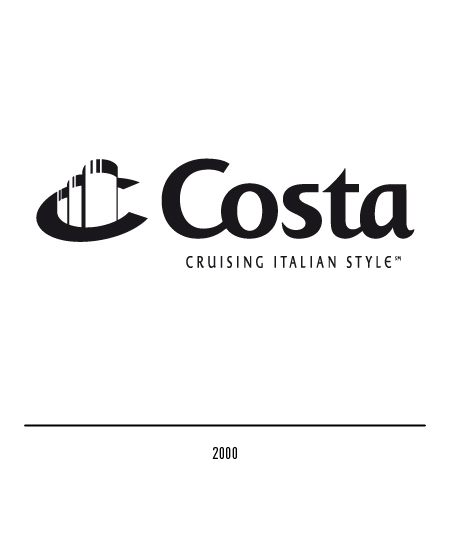 The fleet was gradually up-graded as emigration started slowing down and the demand for cruise liners increased. 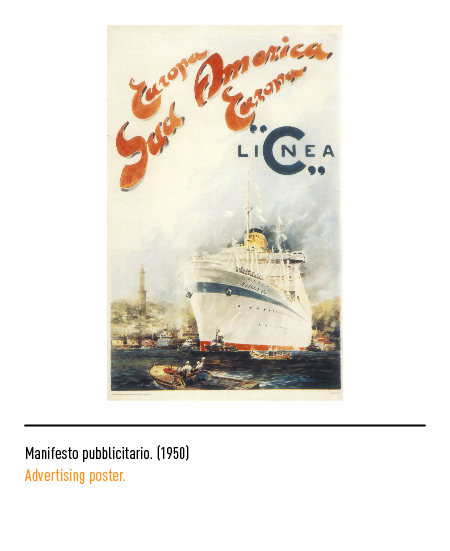 The rather basically appointed third class cabins were radically renovated into veritable hotel suites and on-board amenities added, such as cinema theatres, swimming pools, air-conditioning, and so forth. 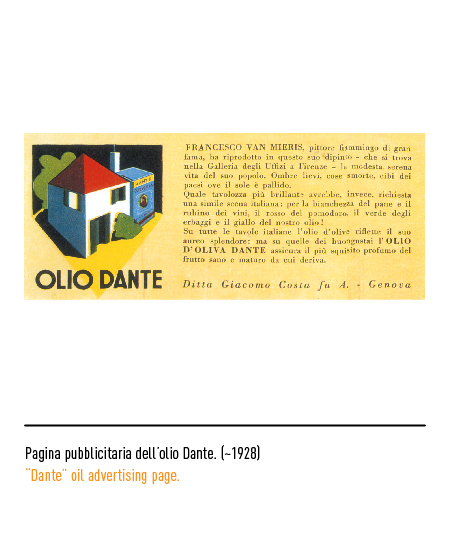 The company had not however given up its merchant and freighting activity. 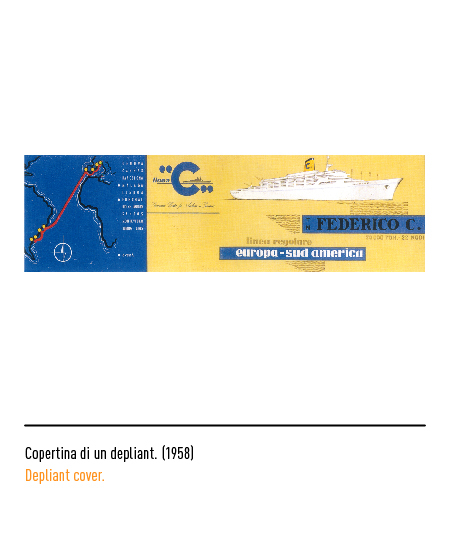 The trade-mark was changed in 1958 and it now portrayed the silhouette of the "Federico C", the company's first purpose-built pleasure cruiser. 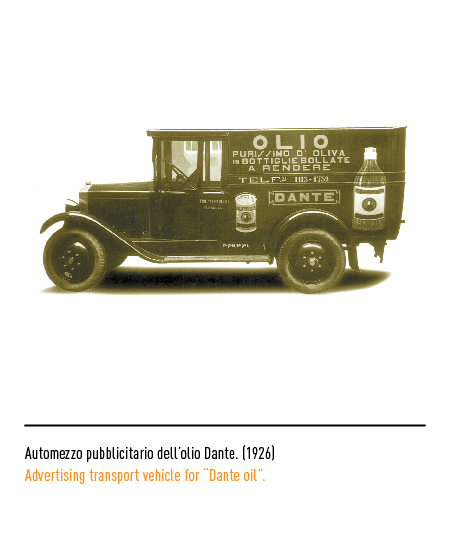 This characteristic icon was to remain unchanged for many years, until in the late seventies, given the considerable increase in air transport, it was decided to discontinue with the cargo side of the business and concentrate on passenger transport and cruises. 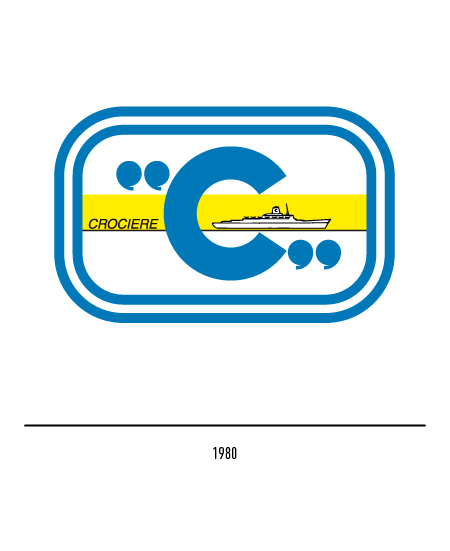 In 1980 the trade-mark was changed accordingly by setting the figure within double frame and adding a yellow strip with, for the first time, the word "crociere" ("cruise") printed on it. 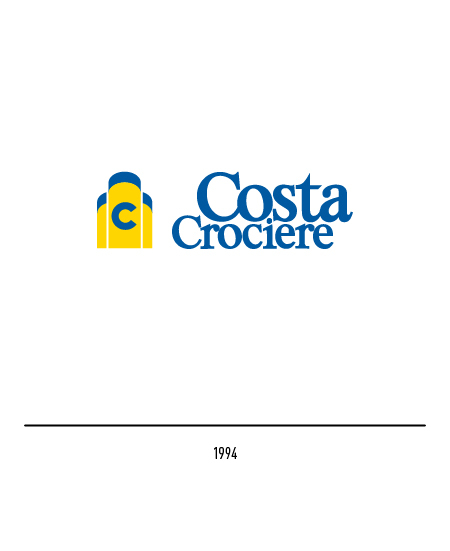 The name "Costa Crociere" was officially adopted in 1986 but trade-mark restyling had to wait till 1994 when, in the course of an overall rejuvenation of the company, the designer Piero De Macchi was allowed to set to work on it. 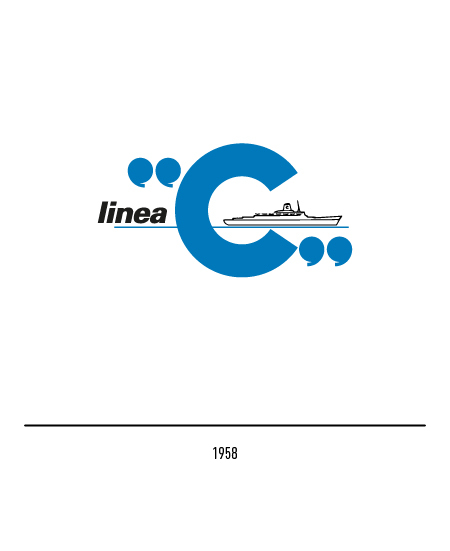 The inverted commas and double frame were dropped and the blue letter "C" was depicted on one of the three yellow funnels that were typical of the liner's of that generation. 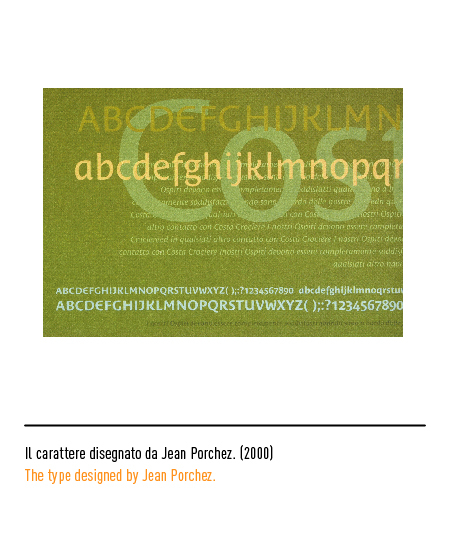 The Mc Carron-style lettering featured serifs and different weights. 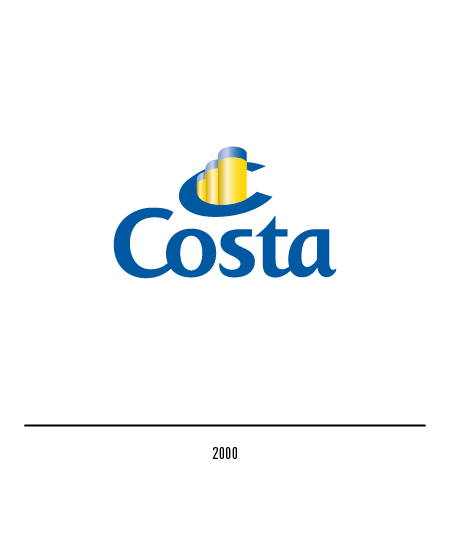 Competition is now fierce but the company's plans for growth and expansion are such that its leadership in Europe in this first stretch of the new Millennium would seem to be assured. 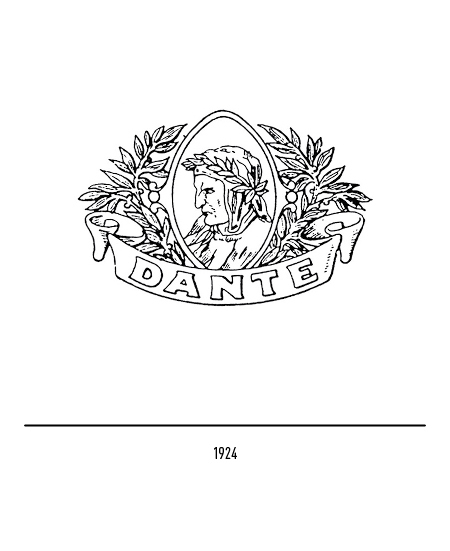 To underscore its vitality, another restyling was commissioned in 2000. 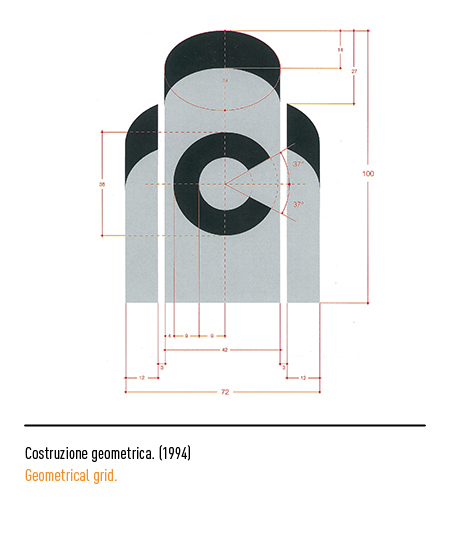 The new design portrays the three funnels embraced by the letter "C" in unique lettering especially designed for the occasion by Jean Porchez. 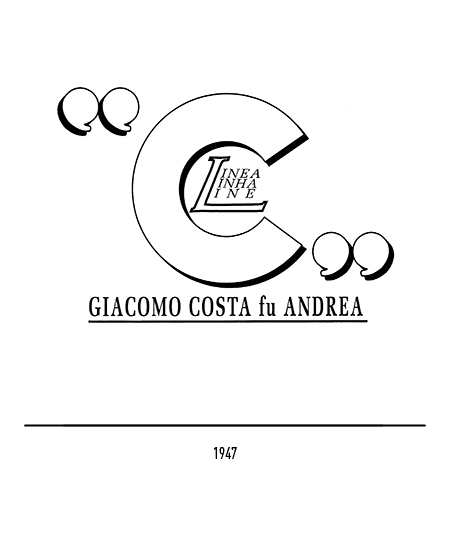 CINQUANT’ANNI DI STILE DI COSTA CROCIERE, a cura di Paolo Piccione, Silvana Editoriale, Milano, 1998. 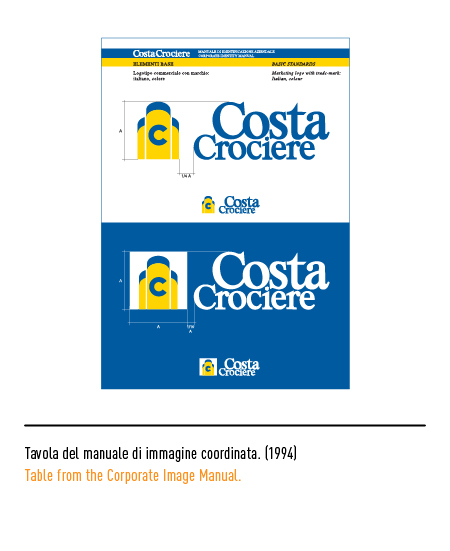 Manuale di identificazione aziendale Costa Crociere, a cura di Piero De Macchi, 1994. 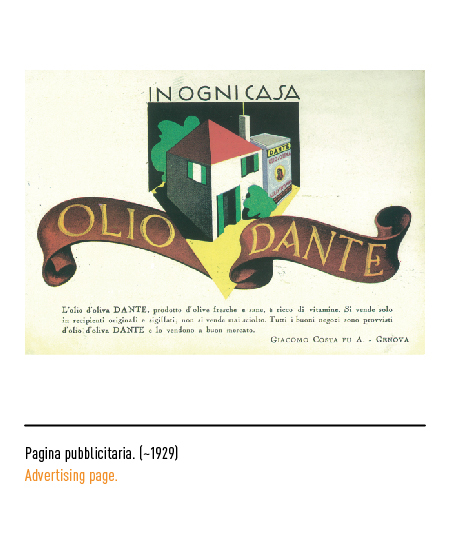 L’ITALIA DEGLI ANNI RUGGENTI RACCONTATA DALLA PUBBLICITÀ, a cura di PROSPECTA, agenzia di pubblicità, Verona, 2000.